The Colonial Night Watch begins at 7 p.m. today (Dec. 2). – Parade route (walking): From Castillo de San Marcos National Monument, the procession moves to the City Gate, then south on St. George St. to the Governor’s House. – Traffic notes: Traffic on Avenida Menendez in the vicinity of the Castillo de San Marcos will be halted briefly to allow the procession to cross over to the City Gate. St. George St. adjacent to the Governor’s House will be closed as will Cathedral Pl. as needed to accommodate the procession and pedestrians. The Free Nights of Lights Park and Ride Shuttle is proving to be popular with those who want to visit downtown but do not want to sit in traffic or have to look for and pay for parking. In its first three days of operation, the shuttle served 5,812 passengers and kept approximately 2,000 vehicles out of downtown. The service is available from 1:00pm-11:00pm every Saturday in December. — San Marco Lot, 301 San Marco Ave. Businesses, special event organizers, and residents are encouraged to share shuttle information in their seasonal advertising and with friends who will be traveling into the city. 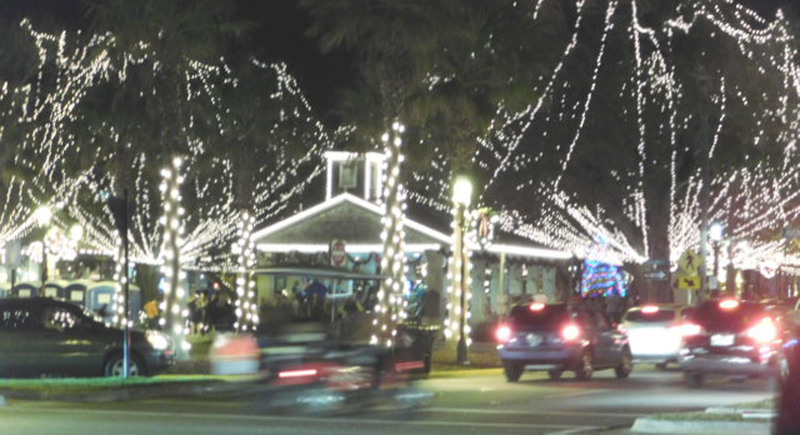 The St. Augustine Yacht Club’s annual Holiday Regatta of Lights Boat Parade will be held in Matanzas Bay along the city’s Bayfront on Saturday, December 9 starting at 6:00pm and lasting approximately two hours. While no streets are scheduled to be closed to accommodate viewing of the event, vehicular traffic along Avenida Menendez should expect congestion and exercise additional caution because of the large number of pedestrians gathered to watch the parade. For more information about the event, visit the St. Augustine Yacht Club’s website at www.StAugustineYachtClub.com.